"a set of emotional and social skills that influence the way we perceive and express ourselves, develop and maintain social relationships, cope with challenges, and use emotional information in an effective and meaningful way". Research has shown that personality and IQ are not enough to guarantee success. In any role that requires any element of human interaction Emotional Intelligence is a key attribute. Unlike traditional intelligences EI is one of the few areas that is truly developable and this tool gives the user the ability to hone in on the key aspects of any individual profile. EQ-i 2.0® is the leading measure of emotional intelligence and is highly acclaimed with a strong international reputation. Enhance your ability to enable your clients and organisation to coach and develop higher levels of success amongst your current talent pool or use EQ-I 2.0 to enhance your selection of the real talent for the future. The EQ360® provides a multi-rater perspective of the EQ-I 2.0. A robust and well validated tool the EQ360® enables comparison of an individual's rating of their own emotional intelligence with ratings of their peers, supervisors, friends and family. This type of feedback helps to further increase self-awareness by enabling the individual to clearly understand the perception of their style from other key stakeholders. Awareness is often the key differentiator between high performers and average success and this tool takes users on a journey that enables them to create that awareness immediately to underpin their personal development towards a higher level of functioning in this key area. Choose from a number of customisable report features and have the flexibility to utilise your own preferred leadership model and language. Flexible framework. The leadership report uses a framework that aligns itself to almost any leadership or competency model in use today. Customisble. Over a dozen optional customisable features and contnt organised in a way that you can quickly pinpoint key insights. Rich with leadership specific implications to ensure the EQ-i 2.0 experience is relevant, meaningful, and drives developmental results. Leadership Dimensions and derailers. The report identifies critical leadership dimensions to develop as well as derailers, of which leaders should be mindful. Best practices. Best practices are provided for leveraging EI in common challenges faced by leaders. Leadership and organisational implications are explained to illustrate how strengths and areas for development can impact leadership and your influence throughout the organisation. Strategies for action are provided for each subscale on how to leverage strengths and develop areas in a given leadership role. Leaders tend to score higher in emotional intelligence than the general population. An even more specific benchmark is assessing how leaders compare to other top leaders. The EQ-i 2.0 Leadership Report gives you that benchmark. In leadership development, an understanding of leadership dimensions and associated subscales that help fuel success is critical. By comparing scores to other top leaders and instituting development plans based on a leader benchmark, companies can gain a competitive advantage through talent management. When you think about the leaders you work with what is the one thing they want to know? How they stack up against other leaders: their competition. By using the comparison group in the Leadership Report, you can show your client how thry compare to a group of top leaders on emotional intelligence. 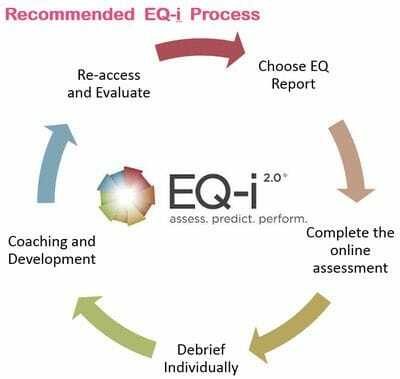 The EQ-i 2.0® is the second generation of the first scientifically validated and most widely used Emotional Intelligence assessment in the world. Based on more than 20 years of research worldwide, the EQ-i 2.0® examines an individual's social and emotional quotients from a workplace perspective. Use the EQ-i (Individual self-assessment), or the even more powerful EQ-360,to identify your areas of excellence. Learn how to maximise your effectiveness in daily tasks and achieve your full potential. The EQ-i assessments also provides developmental insights and team perspectives. 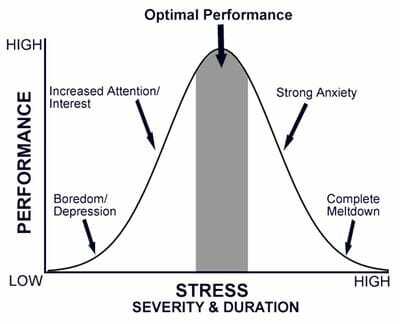 Research shows a strong relationship between emotional intelligence and job performance.High functioning individuals create a strong, competent teams and dynamic organisation. Begin exploring and developing your emotional intelligence today. Emotional Intelligence can be enhanced through training, Measuring the emotional intelligence quotients in your, or your client's, workplace is the first step toward improving it. The EQ-i 2.0® and EQ-360 are valuable instruments for identifying leader potential, areas for improvement and to measure the effectiveness of organisational development programs.